Abstract: In this paper, we present an analysis of the vulnerability of a distributed model predictive control scheme. A distributed system can be easily attacked by a malicious agent that modifies the reliable information exchange. We consider different types of so-called insider attacks. In particular, we analyze a controller that is part of the control architecture that sends false information to others to manipulate costs for its own advantage. We propose a mechanism to protect or, at least, relieve the consequences of attack in a typical DMPC negotiation procedure. More specifically, a consensus approach that dismisses the extreme control actions is presented as a way to protect the distributed system from potential threats. Two applications are considered as case studies: an academic example involving the control of a distributed system with a single coupled input as well as a distributed local electricity grid of households. The results are presented via simulations to illustrate both the consequences of the attacks and the defense mechanisms. Reference: P. Velarde, J.M. Maestre, H. Ishii, R.R. Negenborn. Vulnerabilities in Lagrange-based distributed model predictive control. 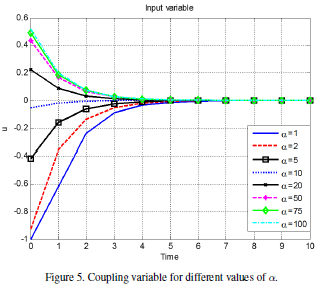 Optimal Control Applications and Methods, vol. 39, no. 2, pp. 602-621, March/April 2018. Available online: September 2017.